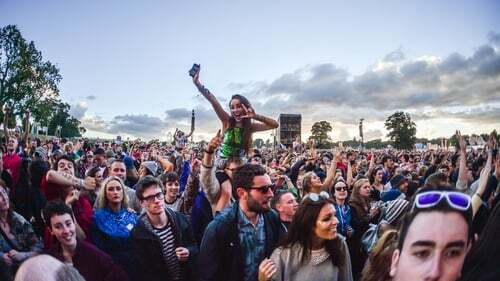 Electric Picnic always boasts an eclectic line-up of artists to perform over the course of the weekend, but there is so much more to the festival than going from stage to stage. It might be the music that draws you in but here are our top picks of alternative entertainment options in Stradbally this weekend. If you've been to one of Aoife McElwain and Anna Jacob's Sing Along Socials before then you know you're in for an hour of unadulterated fun. For the uninitiated, well, this might just be your new favourite activity. The Sing Along Social is a safe place for singers and non-singers alike to come together and caterwaul along to their favourite tunes in the company of friends and strangers; kind of like a group karaoke session, only you don't have to know the words. This year at Electric Picnic the theme of the Sing Along is a Poolside Pop Battle at the abandoned (empty of water) pool area of the Bold mOTel in the middle of the arena. Expect everything from Katy Perry to Coolio, Guns 'n' Roses to Bananarama and all that's in between. They've even been known to bust out the Home and Away and OC theme tunes on occasion! The 7pm time slot on the Saturday is ideal for lifting your spirits if you're struggling on day two; you'll be adrenaline-fuelled and ready to take on the night ahead afterwards. On Saturday and Sunday the Casa Bacardi bartenders will be hosting a series of complimentary Mojito Masterclasses, giving festival-goers the chance to learn some skills they can take home with them. The frequency of the classes depends on demand, but once there is a group of 6-8 people assembled then the class will begin – if you fancy taking part you should hang around the picnic tables beside the Casa Bacardi stage. At the classes you will be given a little history lesson about the man behind the rum – Edifico Bacardi – and you'll be shown how to make the perfect Mojito step by step. What better way to start the afternoon eh? Who doesn't love a good lip sync battle? Snapchat king James Kavanagh will go head-to-head against fellow Snapchatter and radio presenter Doireann Garrihy in what is sure to be a diva showdown of the ages. As fans look on to see who will win the bragging rights, they'll no doubt be treated to some great tunes when the pair put their miming to the test; I'll be surprised if there isn't a bit of Enya from Team Kavanagh. Announcing the news on his Instagram he said to "Expect disco. Expect drops. Expect glamour." Sounds fab. Attendees will also have the chance to take part in their own lip sync battles at the festival, so if you think you can own the 3Disco dancefloor, then get yourself down. After going down a treat at Longitude and Indiependence, the Heineken area will play host to their incredible Live Your Music Rooms at Electric Picnic this weekend. The experience is immersive and interactive and allows you and your friends to control the sounds, mood, visuals and more in the control rooms. There are three main sections: The Club where you can create your own nightclub experience using a control panel that lets you pick the music and visuals, and there'll also be strobe lights and smoke machines; The Music Box where you can make your own Picnic soundtrack using drum pads, synth triggers and samples; and In Scope where you can become the visuals by using GIF-capturing technology to make your own imagery to broadcast on screens on stage. It's not often you get so much control over your festival experience, so round up the squad and give it a go, it can be as much fun as you make it! Another immersive experience you need to check out at Picnic this weekend is the Red Bull SOUNDOME, which promises a whole-body listening experience. The Red Bull stage is always home to some great acts but the stage itself is enough of a draw this year as it comes in the form of a geodesic dome in the heart of the forest. The dome is host to 46 perfectly-calibrated speakers that will provide a pulsating display of musical movement set to engulf visitors in its sonic magnitude. You'll be able to feel the music and the positioning of the lights and speakers creates a captivating 360 degree space. 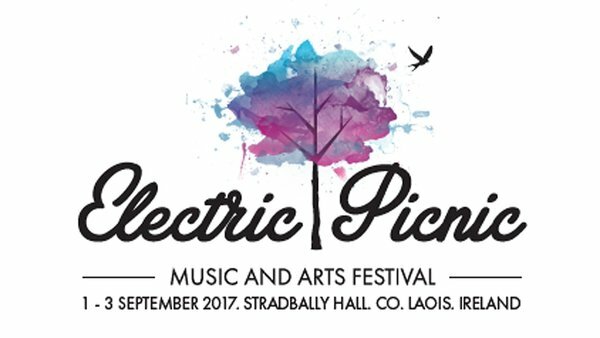 Electric Picnic takes place in Stradbally, Co. Laois from September 1-3, 2017. For a full run-down on stage times, click here.